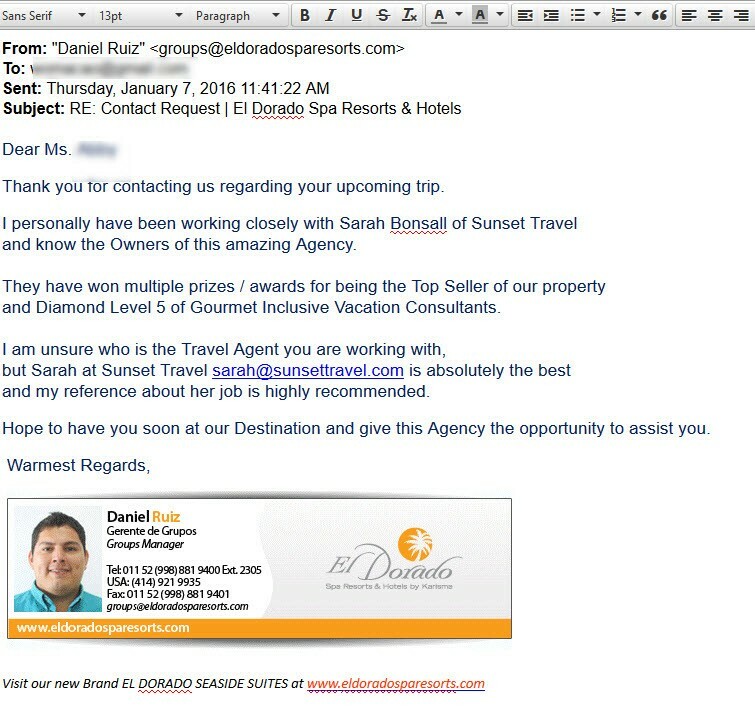 Awards Sarah has won… | Sunset Travel Inc.
Sarah, our sweet Southern Belle, has been selling Karisma Resorts (Azul, El Dorado & Generations) since 2008. That is all she sells, all day….every day. Here is a picture of her at this year’s awards. 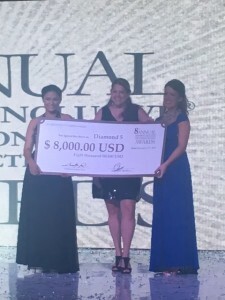 She not only won Top Sales but Karisma gave her an $8000 bonus check! 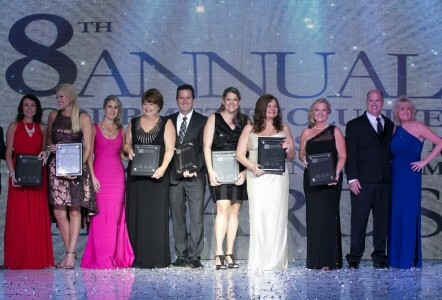 and this is her (the tall brunette in the center with the short black dress) winning her Top Sales award. 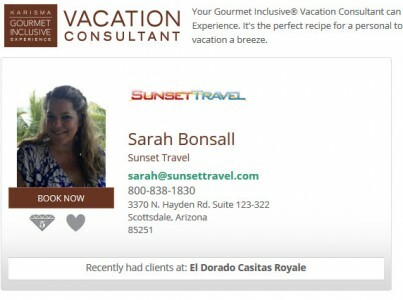 If you go to the Karisma website and search for a GIVC (Gourmet Inclusive Vacation Consultant) here is Sarah’s info. Note the 5 Diamond – The highest award Karisma bestows on an agent. Here is Karisma’s opinion of Sarah. They were referring a customer with questions to her. Is your trip a special occasion? Honeymoon, Wedding, Anniversary? A family group? Want a price quote that no one can beat? I don’t believe there is a question or request that she has not received. or email her at sarah@sunsettravel.com or call her at 800-838-1830. And enjoy her smooth Tennessee accent.